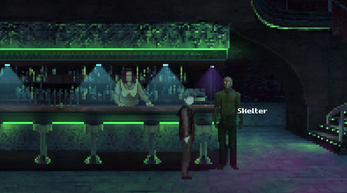 Point'n'click game based on Vampire: The Masquerade v5 setting. Downloadable versions for Windows, Linux and Mac are available below. CHROME USERS - if you experience the bug with black screen after menu/intro (only fonts being displayed), make sure you have Hardware Acceleration on in your browser's Advanced setting, then restart the browser! Game references Vampire: The Masquerade - Bloodlines a lot, but it should be enjoyable to play without any prior experience with it. If you liked the game, please consider leaving a comment and give us your feedback! We're both working on another game to be released on Steam this year, a story-driven emotional comedy about refrigerators and the meaning of life. You can support us by checking it out here! Portions of the materials are the copyrights and trademarks of White Wolf Entertainment AB, and are used with permission based on the Dark Pack agreement. All rights reserved. For more information please visit white-wolf.com. 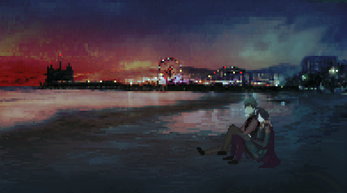 Santa Monica By Night was created for Vampire Jam in 7 days by a team of two. Play using the browser or extract the ZIP file and start the executable. You're good to go! Controls: left click to move/interact, right click to look at, middle click/ESC for pause menu. Vampire The Masquerade was one of my favorite games and this is a nice little walk down memory lane! 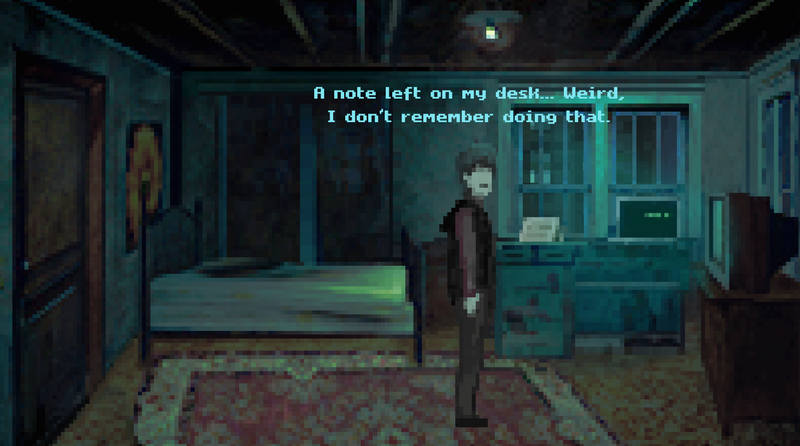 The old point and click adventure style is a nice touch! Very cool! Right from the start "Santa Monica By Night" screamed Vampire the Masquerade to me. One of my most memorble games I've ever played and you made your own pixelated story in the same universe! Just awesome of you to do that. 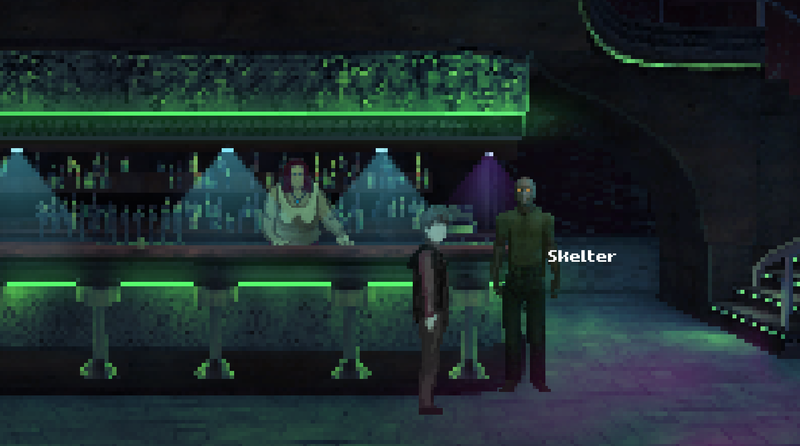 The style, the characters and the music brings out what made Vampire the Masquerade good. Dark and moody city, memorable enviroments. uniqe and crazy characters with dark humor. To top all of that, music that sets the mood for the whole game. Loved it and BIG PLUS for multiple endings. Good game that fits in the web browser. PS: Played it on a Chromebook and had no problem out of the box. No settings changes from my side. Absolutely loved this game! It was a great story start to finish! I got to play 2 of the endings and they were bittersweet but so good. Made a video, I hope you enjoy! i can't even begin to describe how much i loved this game right from the start. the 8bit recreation was so on point, i am quite impressed! Nice game. 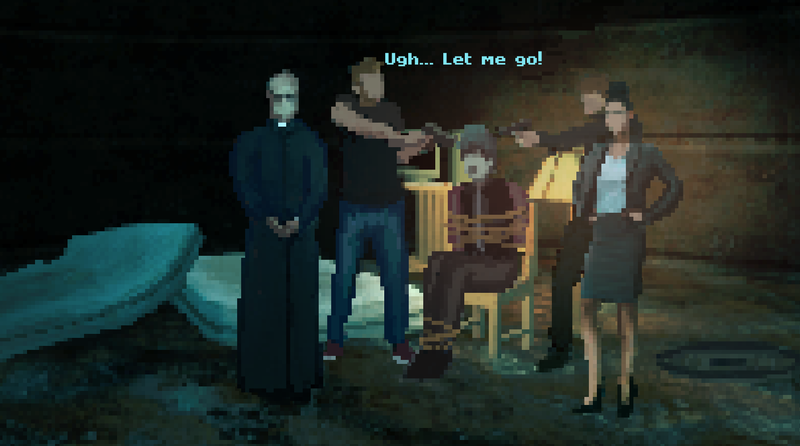 The pixel graphics were dope and the scene where you get captured by the priest was funny. One thing though - on the description it says your decisions affect what happens in the sewers and in the ending. 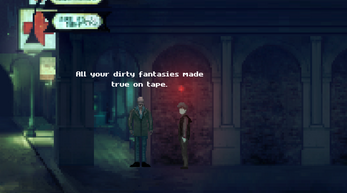 I was able to get the three different endings, but how do you get the sewer scene to change? I get the same thing each time. This bases on your decisions in previous dialogues! There's a different letter depending on who you made suspicious before (for example, if you tell Inquisition you are a vampire hunter sent by the pope and Vincent is the evil guy you plan to kill, they get VERY suspicious of you two and might end up killing him first). In general, there are three letters and a fourth outcome if you haven't made anyone suspicious. Amazing game. I love the writing, its funny and at the same time its dark and romantic. The graphics looks amazing, very well done and very pretty. I would certanly buy this if it was a full game on steam. The characters are very interesting, makes you wanna play more and know them. I loved it! I played it until I got all the endings. It's dark, funny and emotional at the same time. Story, dialogues, art and music really work together to set the mood and you can definitely see and feel vampire the masquerade bloodlines 1 . Plus, you managed to integrate your ocs in it pretty seamlessly. Also, I appreciated a specific sentence you used at the end of the game, which winked to a specific Lestat's sentence in interview with the vampire. It felt like a nice touch. Personally, I am happy the game is quite short, so It didn't take me too much time to play it as many times as I liked. In short: good job guys! I like this a lot! I wanted to record a video because I imagine devs would like to see people play their game. but yeah good work everyone who worked on this! My only complaint is that it was so short (but again, for a jam, I can totally understand) and left me wanting more. 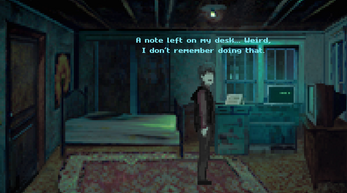 I'm a huge fan of old point & click adventure/roleplay games since that's what I grew up with playing with my dad, and VtM Bloodlines is something I return to frequently when I can't get a tabletop group together. This had great visual appeal for me, reminding me of things like Quest for Glory 4: Shadows of Darkness and The Lost Files of Sherlock Holmes, and the music was perfect for the mood and tone of the game. All the little callbacks to Bloodlines and the bits of humor peppered in here and there made me smile. The ending I got was absolutely bittersweet, but very fitting and appealing to my angsty writer soul. All in all, a wonderful entry and by far my favorite in this jam. Brilliant work, devs! On browser there is sound but no images D: tried the windows version, very nicely done!!!! music, story atmosphere.!!! If you're using Chrome, make sure you have Hardware Acceleration on in Advanced settings :) It also should work well under different browsers, let us know if that wasn't the case for you!